Constructing the Inventory organization Structure is a challenge every organization deals with as the implementation begins. Office Smart Solutions (OSS) is a US based supplier of office products, furniture, stationery, and electronic products. OSS is implementing Oracle Applications Release 12. OSS wants to start building its organization structure. They have a Legal Entity, a Set of Books, and an operating unit to begin with. Try This FREE Download First! This TRIAL version is available as a FREE Download with No Obligations. 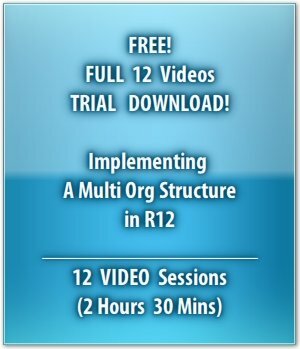 This version will help you explore and review the COMPLETE Video Tutorial... ALL 87 videos, for 1 Trial and 1 Day. 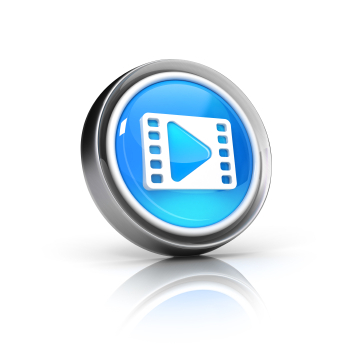 Once you like the Tutorial, select from any of the Subscription options here, to get your copy of the eLearning Video. We are TRULY excited to share with you the Feedback we are getting on this Tutorial! OSS uses the following steps to create the Legal Entity named Office Smart Solutions. OSS defines the Legal Entity as shown below. A Legal Entity has to be associated with a Legal Address. 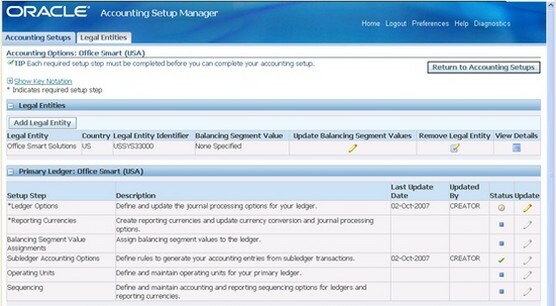 In R12, the address to be associated to the Legal Entity has to be defined in the Accounting Setup Manager page. It would then appear in Inventory > Setup> Organizations > Locations with the Legal Address checkbox, checked.You also have the option of selecting an existing Legal Address. Office Smart Corporate is the Corporate Headquarters of OSS and is located in the Chicago suburb of Naperville. OSS will have to define this address using the Create New Address feature, as shown above. OSS may optionally add the Inception Date, to complete the creation of its Legal Entity. A Simple Search by name would now display the Legal Entity information, as shown below. This is a FREE Download for 30 Days. The demo runs with full functionality, for 30 Days from the Date of first use. Click anywhere on the picture below to download the DEMO. 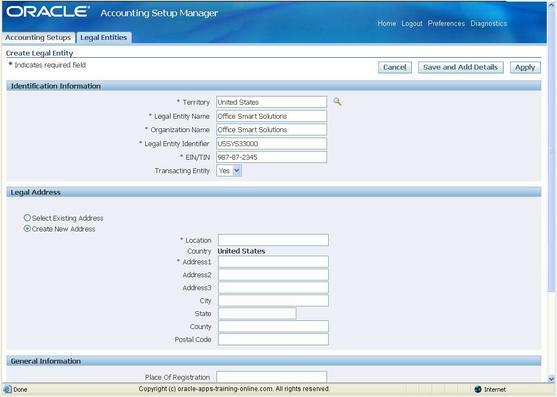 In this Demo, we define a Legal Entity using the Accounting Setup Manager. Having defined the Legal Entity, Office Smart Solutions will trudge along the new path of accounting setups by moving towards the next milestone in setting up the inventory organization structure…creating the Primary Ledger. 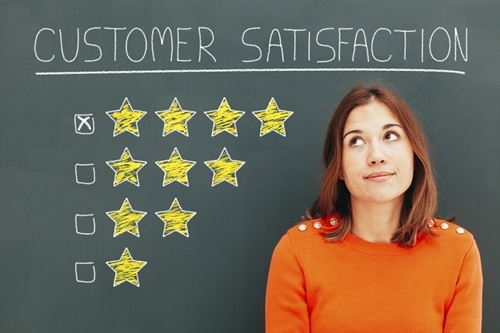 In the Account Setup Manager, OSS consultants choose Create Accounting Setup. For the Legal Entity they just defined, OSS will create a Primary Ledger. This is the new avatar of what we knew as the Set of Books in Release 11i and before. For a clearer view of the screens, please run the demo on the next page. Name - OSS have selected the name as Office Smart (USA). Chart of Accounts – Operations Accounting Flex for OSS. Accounting Calendar – Accounting for OSS. Currency – USD for OSS. Subledger Accounting Method – Standard Accrual Method for OSS. Upon creation of the Primary Ledger, you will be greeted with the confirmation message as shown in the screen below. Cheers! We are getting there, a step at a time...building the inventory organization structure for Office Smart Solutions! As the message in the screen above confirms, the consultants at OSS need to define the Accounting Options before they can consider the first phase of their Inventory Organization Structure to be complete. This means, they need to define the Ledger Options and the Reporting Currencies (mandatory), as shown below.